Official move-in day is in August of 2019. Please contact info@livesakara.com to inquire about an earlier move-in if needed. At Sakara Tempe + Villas at Tempe you can pay via check, money order, or online through our Resident Portal. Yes, you can submit any requests to the leasing office. Requests are not guaranteed are are taken on a first come first serve basis. The first step is to submit an online application and pay the application and administrative fee. Both of these fees are non-refundable. Once the application, application fee, and administration fees are received and approved, you can sign your lease online. Once the lease has been signed and approved, your apartment at Sakara is secure. A security deposit is due at move-in along with your first month's rent. Can I cancel my lease after I sign? Cancellation of a lease is not permitted after the lease is signed and approved. In order to get out of your lease, you will need to re-let your apartment. Please contact the leasing office for more information.  At both Sakara Tempe and Sakara Villas at Tempe, the leases run from August to July. Yes! Sakara Tempe and Sakara Villas at Tempe are both pet friendly. There is a $300 pet deposit with $150 being refundable and a $25/mo pet rent. We allow up to 2 pets per apartment and have a 35 lb limit and breed restrictions. Contact the leasing office for more on breed restrictions. All guests looking to park at Sakara Tempe or Sakara Villas at Tempe must receive a guest parking pass with the leasing office upon approval. Does your communities offer safety features? Sakara Tempe and Sakara Villas at Tempe are gated communities!